Arranging a sit-down dinner party in dinky digs is daunting enough without having to referee a round of musical chairs. Who wants to be stuck with the uncomfortable, outcast wobbly chair all night? 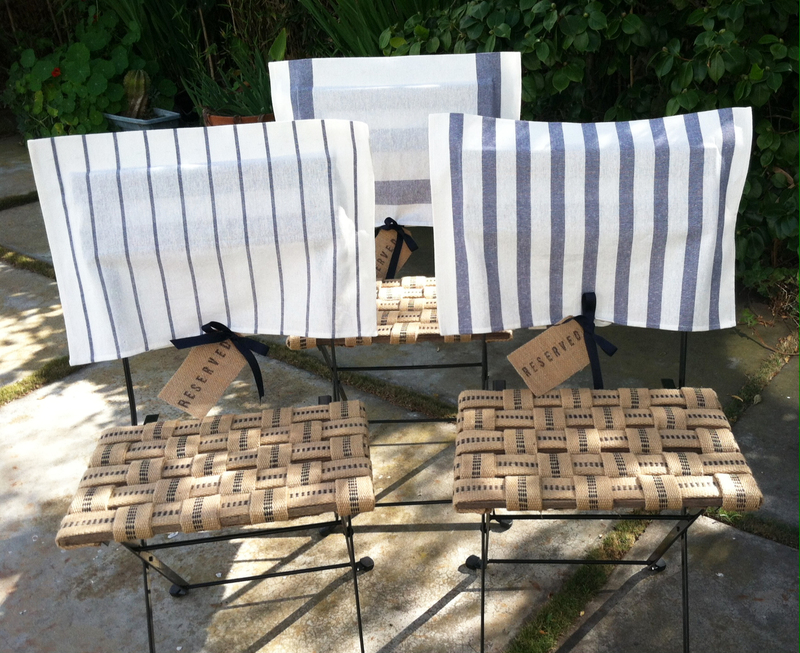 Avert a future seating crisis by stocking up on a few inexpensive folding bistro chairs (these are from Ikea for $15/piece) that can be dressed up for the occasion with simple upholstery webbing and Ikea cotton dishtowels. Let’s face it. These wooden chairs without padding are not comfy past 20 minutes. But for less than a dollar a yard, upholstery webbing came to the rescue. 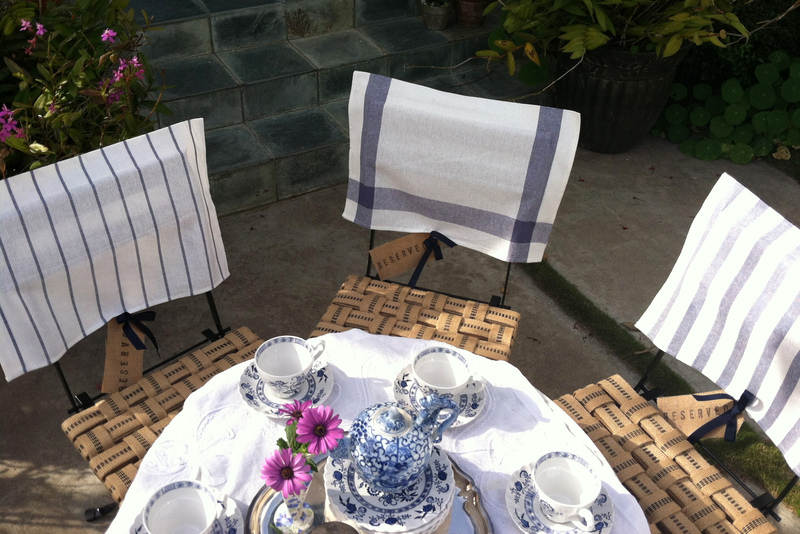 Cut webbing strips to cover the length of each chair slat horizontally and vertically. Add an extra 1-1/2″ on either side to tuck under the chair seat. 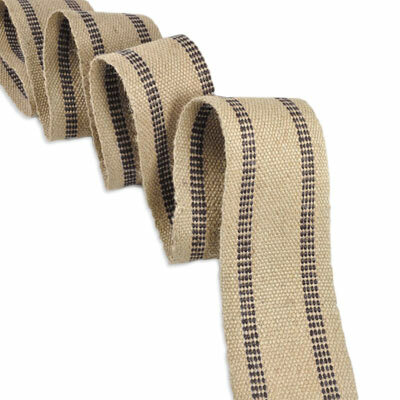 Fold strips in half lengthwise for double cushiness. By folding them, the strips will also be the same width as the chair slats. Stretch strips horizontally over the chair slats and secure the sides under the chair with a staple gun. Next, weave straps vertically over and under the horizontal wooden seat slats. Secure each end with a staple gun. Thick webbing eliminates the need to store bulky seat cushions in space-starved nutshells! Check out this tip for storing folding chairs. Dishtowels folded in half are the ideal-sized slipcovers for chair backs, and the best news: there is no need to pick up a needle and thread. Fusible bonding web attaches side seams with the heat of an iron. Glue grosgrain ribbon to the center of the opening (front and back) for a bow closure. 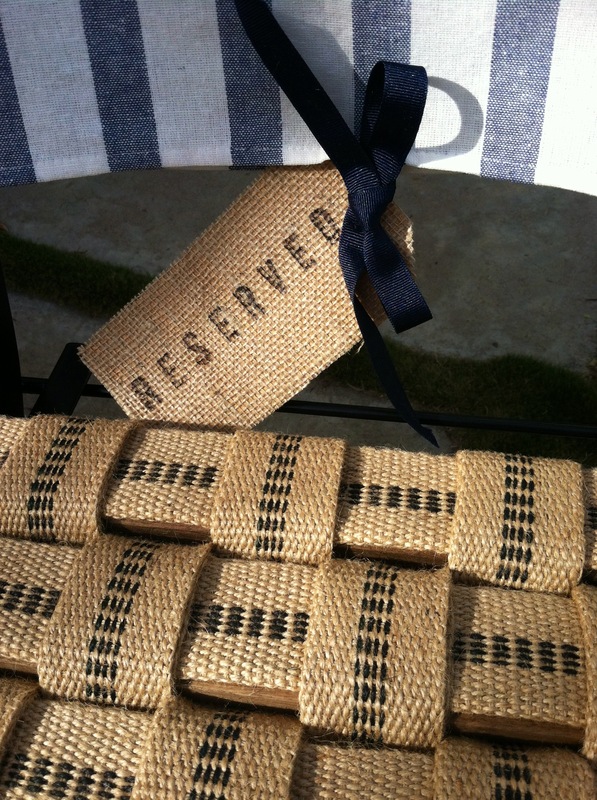 Handmade burlap tags rubber stamped with the word “reserved” guarantee friends will feel they are at the top of your VIP list! !